Lowongan Kerja PT Bank Syariah Mandiri - BSM or more popularly called Mandiri Syariah is the largest sharia bank in Indonesia with majority share holder by PT Bank Mandiri (Persero) Tbk (Bank Mandiri). Bank Mandiri - the largest state-owned bank in Indonesia - owns a 99.99% stake in Mandiri Syariah with the remainder of the shares belonging to PT Mandiri Sekuritas. 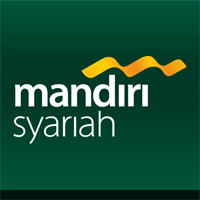 Mandiri Syariah is widely known nationwide as a prominent player in sharia banking industry in Indonesia. Mandiri Syariah controls 25.20% market share in total sharia banking asset in Indonesia. Mandiri Syariah also maintains 27.81% market share in Third Party Fund (DPK), and 24.71% market share in total financing in the Indonesian sharia banking industry. Headquartered in Jakarta, Mandiri Syariah now has 865 office networks and directly employs nearly 16,895 dedicated staff. Mandiri Syariah closed 2014 with a remarkable performance. Mandiri Syariah booked total assets of Rp 66.94 trillion in 2014, increased 4.65% from Rp 63.96 trillion in 2013. Total DPK in 2014 grew considerably to Rp 59.82 trillion, from Rp 56.36 trillion in 2013. Minimum S1 / S2 from or various disciplines, except Teacher, Art, Literature / Culture, Philosophy, Public health and Nursing. Last semester students who have completed the theory are welcome to apply. Minimum GPA of 3.00 (S1) and 3.20 (S2).Active involvement in organizations, both within and outside the campus. Not married with the maximum age of 27 old years at the time of the initial selection. Energetic, confident, able to communicate well. Have a high motivation, and love a challenge. Would be placed in all Mandiri Syariah's network throughout Indonesia. Able to work using computer especially Microsoft Office (Word, Excel, and Power Point). Has never participated in the selection process at Mandiri Syariah in the last 6 months.